Certain areas on your body can be stubborn, resisting the traditional weight-loss methods of diet and exercise. No matter how well you eat or how much you move, they just won’t reduce. At Nouvé Med Spa in Downey, California, the expert aesthetic team offers noninvasive body-contouring technology with SculpSure® to address these persistent pockets of fat. Call the office or book an appointment online to learn how SculpSure can help you lastingly reduce stubborn fat. SculpSure is a state-of-the-art laser treatment that addresses stubborn areas of fat on various parts of your body. The laser energy raises the temperature of your fat cells and disrupts their integrity, so they die and are flushed through your body’s natural waste-removal process via the lymphatic system. SculpSure is a safe, noninvasive treatment for many areas that stubbornly hold onto fat. It is not designed for comprehensive weight loss. To be a good candidate for Sculpsure, you should be close to a healthy weight. Talk to the experienced team at Nouvé Med Spa about your desired results, and they’ll explain how SculpSure body sculpting can enhance your physique and get you closer to your aesthetic goals. 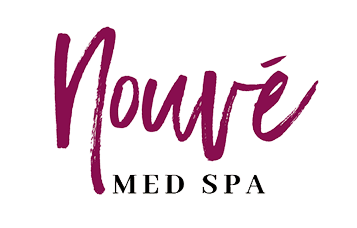 When a technician from Nouvé Med Spa applies the SculpSure energy using the special handheld device, you feel warmth and tingling alternated with bursts of a cooling sensation that keeps your skin comfortable. Most patients tolerate the treatment well and don’t find it uncomfortable. When will I see results from SculpSure treatments? SculpSure effectively reduce up to 24% of fat from any given treatment area. You notice changes in your body after just six weeks, with an optimal flushing of fat cells occurring after 12 weeks. Many people appreciate the results they get from a series of sessions. How does SculpSure lead to lasting fat loss? With traditional diet and exercise, fat cells shrink -- but always have the potential to re-plump should you start to eat in unhealthy ways or slack off on physical activity. SculpSure treatments lastingly treat fat cells, so they’re gone and can never swell up again. Is there any downtime following SculpSure treatment? Unlike invasive body-contouring strategies, such as liposuction, SculpSure involves no incisions or blood loss. You can go right back to all your daily activities after a 25-minute treatment session. One of the greatest advantages of SculpSure is that it requires no downtime. To learn more about the effective and noninvasive body-contouring energy of SculpSure, call Nouvé Med Spa or book an appointment online.